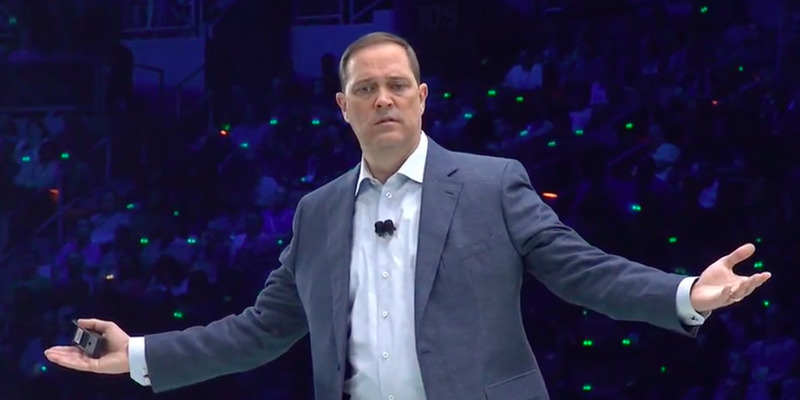 Cisco beat Wall Street’s expectations ever-so-slightly in its Q4 2018 earnings on Wednesday. The networking giant repoted $US12.84 billion in revenue (GAAP) for the quarter, up 6% from the year before, and earnings per share (adjusted) of $US0.70. For fiscal 2018, Cisco reported $US49.33 billion in revenue (GAAP), up 3% from the year before, and earnings per share (adjusted) of $US2.60. Cisco traded up 6% in the hour after earnings. Cisco beat Wall Street’s expectations by a hair on Wednesday in its final earnings for fiscal 2018. Its stock traded up around 6% in the hour following the Q4 2018 earnings release, despite losses across the public tech sector earlier in the day. Revenue (GAAP) for Q4: Cisco reported $US12.84 billion, up 6% from the year before. Analysts expected $US12.77 billion. Earnings per share (adjusted) for Q4: Cisco reported $US0.70, up 15% from the year before. Analysts expected $US0.69. Revenue (GAAP) for fiscal 2018: Cisco reported $US49.33 billion, up 3% from the year before. Analysts expected $US49.26 billion. Earnings per share (adjusted) for fiscal 2018:Cisco reported $US2.60. Analysts expected $US2.59. Revenue guidance for Q1 2019 (GAAP): Cisco expects $US12.7 billion to $US12.95 billion. Analysts estimated $US12.6 billion. Earnings per share guidance for Q1 2019 (adjusted): Cisco expects $US0.70 to $US0.72. Analysts estimated $US0.69.